This session includes a live demonstration with injured singers focusing on the fundamentals from a Singing Voice Specialist’s perspective. Our profession has designated the title of SVS to those voice teachers with specialized training in anatomy, physiology, acoustics and that work in affiliation with a voice team to habilitate injured singers. However, all voice teachers may benefit from observing an SVS's systematic approach to working with singers with injuries or pathologies such as nodules, cysts, paresis, muscle tension dysphonia (MTD), etc. The objective is to guide teachers in designing a protocol for habilitation of the singing voice. They will gain knowledge in triaging technical issues contributing to the presented pathology or injury, and designing a systemic approach through the five systems of the voice: respiration, phonation, registration, articulation and resonation. It is imperative that singing teachers understand how a voice disorder impacts vocal function in order to create an effective habilitative plan. 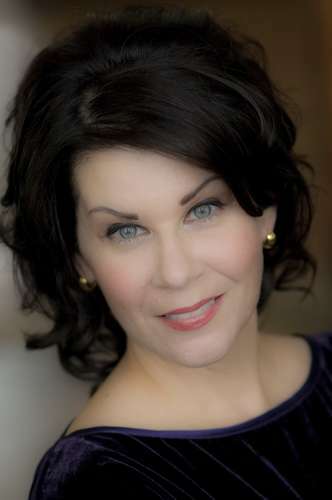 Soprano Kari Ragan is a nationally recognized artist/teacher, and currently serves on the voice faculty at the University of Washington where she also works in affiliation with the Otolaryngology Department. In 2012 Dr. Ragan was awarded the prestigious Van L. Lawrence Fellowship in recognition of her contributions to the training and science of the singing voice. Her focus for this award was investigating the efficacy of cool-down exercises. Additional professional achievements include the Wicklund Singing Voice Specialist Certificate, The New York Singing Teachers (NYSTA) Association’s Distinguished Voice Professional Certificate and the NATS Pedagogy Award. Dr. Ragan has presented at NATS National Conferences, The Voice Foundation Symposium, and National Center for Voice and Speech. Her articles have been published in Journal of Singing and Journal of Voice among other publications. Dr. Ragan is a frequent clinician and adjudicator throughout the Pacific Northwest. She is the NATS Chats national coordinator and on the board of the Northwest Voice Foundation Chapter.